Dr Ci:Labo Basic Black Blemish Control Cleansing Gel Makeup Remover is a non irritating gel that deeply cleanses dirt and oil from in the pores. It should also leave skin feeling moisturized. It is recommended for oily/combination skin types and is suitable for every day use. 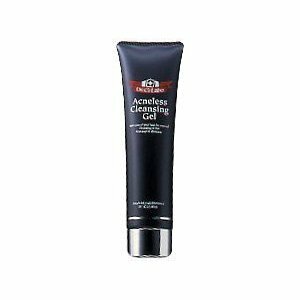 This cleansing gel is rated highly by users. People say it works well on oily skin to leave it clean and moisturized. It removes makeup and dirt without drying your skin says one fan. Apply to dry skin and gently massage over the face. Do this for a couple of minutes, then rinse with water. Kaolin purifies the pores. Sulfur calms blemishes and reduces inflammation. Moss Extract reduces redness. Dr Ci:Labo Basic Black Blemish Control Cleansing Gel Makeup Remover costs $26. This is quite expensive compared to some other brands, but the rating is good so maybe its worth a try. You are currently browsing the archives for the Dr Ci Labo category.